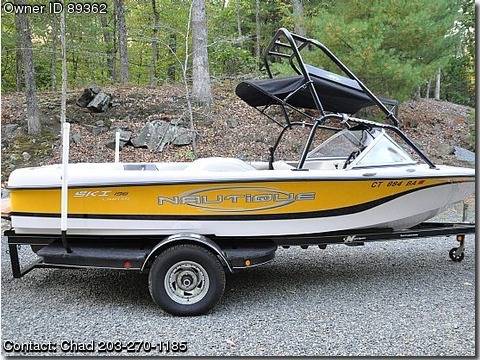 Ramlin single axle with brakes and swing-away tongue, Comments: Perfect Pass 6.5n, Hot/Cold Shower, 3 speed Heater with defrost, Correct Craft in boat Ski Racks,cargo net, pop out cleats, CC Tower(fct 2), Tower Bimini new 2006, Tower Rack(ski), Clarion CD, Polk speakers, full Faria gauges, teak swim platform, only used in fresh water. trailered to lake. stored in heated garage.